Americans place $150 billion a year on illegal sports bets, a number that will likely be shrinking soon. In May, the U.S. Supreme Court struck down a 1992 law that effectively prohibited sports gambling in all states except Nevada and, to a limited extent, Delaware, Montana and Oregon. Since the law has been overturned, New Jersey became the third state after Nevada and Delaware to legalize sports betting on the outcome of individual sporting events. The law in New Jersey, which officially went into effect June 14, allows wagering both in person and over the Internet. In the first two weeks since the law passed (June 14-30), $16.4 million was wagered on sports matchups in New Jersey. However, while this new environment and era of sports gambling will be legal and regulated, it may not necessarily be safe. As new players are welcomed into the sports betting ring, fraudsters will attempt to take advantage and, unfortunately, their techniques continue to evolve. The short game of buying lists of stolen credit cards to open bogus accounts has been supplanted with more complex synthetic identity theft schemes in which well-coordinated fraud rings build composite identities using stolen credentials from an array of diverse dark web sources. This includes fraud from cheating, such as player collusion. In addition, as we have seen happen in the UK, high-stakes losers may turn to fraud by asking for their losses to be wiped clean since they shouldn’t have been allowed to play in the first place because of a previous player self-exclusion request. Account takeover, a popular fraudster technique in industries such as online finance and retail, is also a concern for online sports betting because players can accrue large amounts of deposits from winnings. Even though the player is often at fault because they used a weak password or re-used a password from another online account, their perception is that the online sports betting venue should have done more to protect their account in an account take-over crisis. New online sports betting operators will also be challenged with delivering the same seamless user experience in-play that players enjoy elsewhere online, including on mobile devices. We know that mobile game usage is increasing; in fact, mobile games generated $70 billion in consumer spending in 2017, according to a report released by IDC. We’ve also seen this play out firsthand; iovation’s 2018 Gambling Report found that the number of gambling transactions we processed from mobile devices in 2017 had grown to 62% [note: link opens a PDF], up from 6% in 2012, an annual growth rate of 116%. Additionally, many users are accessing their favorite online gaming sites from more than one device, making it critical to provide omnichannel authentication that doesn’t interfere with their play. 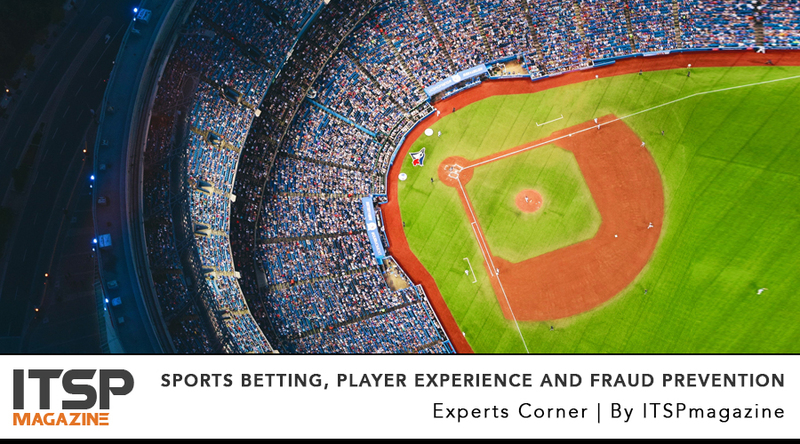 Thus, new entrants to the online sports betting world in the U.S. must come to terms with a core challenge facing nearly every digital business: how to ensure an exceptional user experience while also preventing fraudulent activity. Prevent and detect fraud in a way that doesn’t introduce friction for your good players. Burdensome procedures for making deposits and withdrawals or logging in provides a negative experience for your good customers. Instead, utilize device intelligence for detecting and preventing online fraud. Device intelligence can be collected in the background without any user impact and provides a wealth of information useful for fighting fraud. For example, you can determine if the user is intentionally trying to mask their true location if the device has been engaged in an abnormally high level of transactions in the recent past, or if there are attributes about the device that are inconsistent. These are all risk indicators of fraud. And some device intelligence vendors offer device reputation in addition to device risk which informs you if the device involved in the current transaction has been involved with any past fraud or is associated with other devices with confirmed histories of fraud. Utilize modern authentication and authorization technologies instead of relying on traditional passwords and KBA. In a mobile, always-on-the-go world, typing in a complex and lengthy password just to place a bet is cumbersome and adds significant player friction. Instead, consider using device-based authentication and multifactor authentication solutions to offer your players practically effortless login capabilities while offering significantly higher account security that protects them from account takeover attempts. Identify VIPs as quickly as possible. Identify a new player as a potential VIP so that you can start tailoring their player experience in an optimal way, such as increasing the number of payment methods or initial deposit limits. Potential VIPs and the devices they are using can be identified using machine learning algorithms which spot subtle characteristics of those likely to commit fraud or not. The latest U.S. Supreme Court ruling has opened up a lucrative new market for established online betting shops as well as paved the way for new ones. Competition for the U.S. player will be at an all-time high and creating an inviting, differentiated player experience is not only important, but will be a table stake in this new market. However, this can’t come at the expense of fraud detection and prevention measures. Device-based intelligence and MFA solutions have proven useful for combating fraud for European-based sports betting venues as well as for online casinos; they are effective at not only stopping more fraud but significantly improving the player experience. Embrace the player trend of using mobile devices and their new way of on-the-go playing and consider it an opportunity to offer a safe, differentiated playing experience. Eddie is the Product Marketing Manager at iovation, where he brings more than 25 years of experience in enterprise software from companies such as Rational, IBM, and Wind River. He has a BCSC/EE from the University of Virginia and an MBA from the University of Oregon. Newer PostSecurity Is Hard. Arguing For It Doesn’t Have To Be. Older PostIs Cyber Insurance Really The Next Big Thing In InfoSec?